We are getting close to the actual beginning of summer and the longest day of the year! Don't you love those long days of sunlight? I know I do! 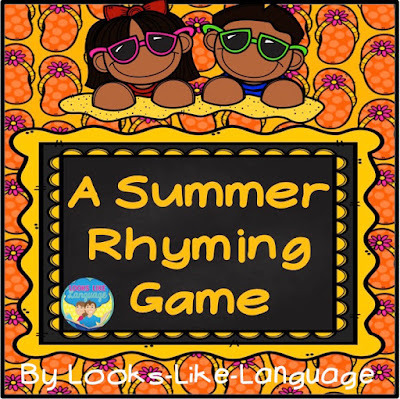 But, if you are a parent looking to fill up those long summer days with worthwhile activities, or a teacher/SLP working this summer, be sure to catch all of the downloads of summer rhyming. You will have a complete, free packet when you are done! Download the game board at my blog here. You can use it with the rhyming game cards or use it as a stand alone fun activity. Enjoy it!